Through the blessing of the Most High, I&I have been given the inspiration and guidance to produce this podcast and share our love for positive reggae music with the family worldwide. The goal is to provide an uplifting program that gets you skanking and also provides inspiration to live up to Jah heights and give thanks and praises. We all have a calling in life to do Jah Works and right now this is what I have been called to do. I have been involved in reggae radio now for over 9 years – at KBUT in Colorado, Hoopa Tribal Radio in California and now here in Vermont. Big up to all artists played on the show – please support these hard working people whenever you can. Roots reggae is the stone that the builder has refused – let it now become the head corner stone. Also big up to all listeners who truly make doing this show a great joy for me. 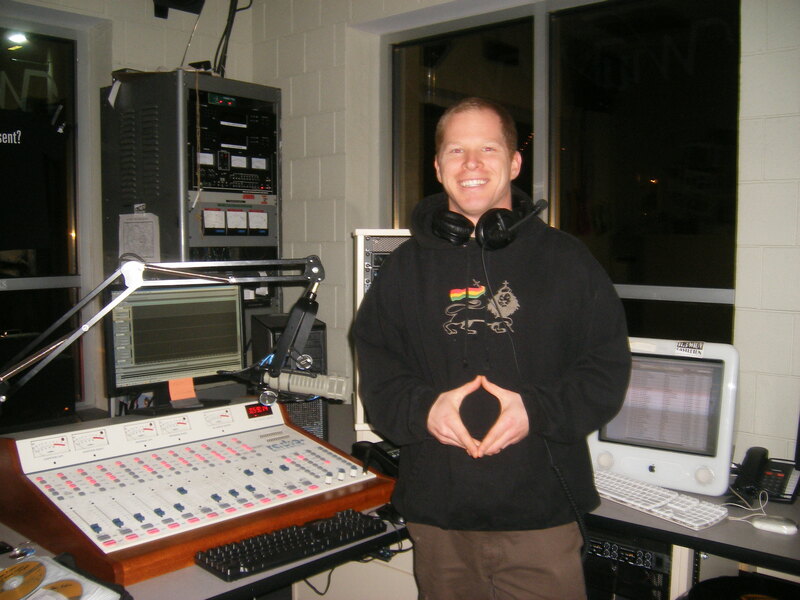 The show is broadcast live every Friday night on WIUV 91.3 in Castleton, VT and syndicated on Onyx FM in Calabar, Nigeria, KIDE Hoopa Tribal Radio in California and at www.reggaeworldmusic.com. The podcast can be found here as well as on Itunes and other podcast providers. I can always be contacted through e-mail at jahworksradio@gmail.com. Crucial, crucial works ya doing here. JAH guide and bless every time! Press On! Give thanks for the feedback. Respect and Jah bless. “life is to live, so dont be afraid to die just like you are afraid to live” any idea? Julio – Much thanks for the upful comment. Please let me know which podcast that song is from and I can help you with the artist and title. Messenjah Selah “Life to live” – Boom! Ras D-RO, greetings from the last virgin…..Culebra, my bredda keep the fyah blazin boom! Best podcast online rraaaa rraaaa rraaaa!!! King Lem! Nice to hear from you, bredren. Still waiting for your next BOOM tune! I know its coming soon and I look forward to it. Much love to the family. Thanks for listening and really apprecialoving the music for what it is…pure inspiration. Much love and light to you and yours, family. Blessings to you and yours, family. And big up to the massive in Tanzania – under the shadow of Mt. Kilimanjaro! Massive fan of the show here in Glasgow, Scotland. Keep up the good work. Give thanks, Paul, and many blessings to you and yours. One Love. yeah ras D-RO big up to you & your show all the time..bless…I want to tell you one thing, last month i mean April i met one man called RAS BUPE MKUSHI AKIIKI at Kabanga village,Kasulu district,Kigoma Region; he repatriate from Jamaica back to original land of Africa in late 1977,and now he living in Tanzania.Its great to meet with Ras BUPE because he told me the meaning of the concept “REPATRIATION” he is among few who return back.Back in 1985 he met with the late President Mwalimu J.K.Nyerere and offer him a place to live in Tanzania to start new life. In 1992 he started to implementing the project of establishing THE PROMISING LAND. But unfortunately the project fail to achieve its main goal and objectivies due to different reasons. But currently RAS BUPE still struggle to implement his ideas about the promising land. The aim of this message is to advice you brother D-RO to interview RAS BUPE in your show because he can talk about the concept of Promising Land in the view of field ways due to the fact that he implemented the concept of REPATRIATION. A lot of Messenger (Reggae Artist) talk or sing about it and i aprecite about that. One last thing, I want to request the greatest songsof all time from the group called WAILING SOUL . Give thanks, brother. He sounds like a great person to reason with and I’ll be checking into that for sure. By the way, what song from the Wailing Souls are you referring to? I wish you strength, guidance and love. If you are interested to talk to Ras BUPE his tellephone number is here: +255783 151 430. D-RO big up for righteous upfull podcasts. Look forward weekly for inspiration. Praise Jah for your efforts. Give thanks once again for the upful comments and vibrations. It’s a family thing, King. Thanks for the upliftment and encouragement, family. Blessings to you as well. 11/11 link up. Journey on, family…in one love. Jah guide and Jah bless forever more! Give thanks for your uplifting words – right on time, trust me. We can only achieve our goals as a collective group and I thank you for being part of our One Love family. Thank you again for heading Yah’s call and sending your upful words our way – apprecialoved more than you know. InI say keep blessing us with this wickedness. For all who wanna chase away bad spirit stop burning essence – play D-RO and all gonna be iree. Seen? Yes, Ras-Ta-Piwa. We gonna keep chasing those devils away! Can’t stop JAH WORKS! Give thanks for the support, family. Yes I! We apprecialove the support and love – the family is what keeps the vibes so upful every time!! Sorry to hear that, bredren. I will make mention of it to inform the family worldwide…rest in peace (and rise in power) to our brother, mentor and now ancestor, Ras Bupe Mkushi of Dar, Tanzania. muy buenos podcast me encantan. No me canso de oirlas todas, quisiera mandar un saludo a todos los de la radio felicitarlos, desde Costa Rica mi hermanó. Pura Vida ! Muchas gracias, mi hermano de Costa Rica! Es gratificante oir de la gente en differentes partes del mundo. Somos una familia! Muchos bendiciones a toda la familia en Costa Rica y todo el mundo! Thank you, David. Welcome to the fam!